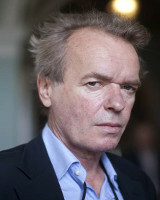 Martin Amis 25 August 1949 British Kingsley Amis Hilary Bardwell T.V Writer, Novelist, Actor, Author, Professor Novelist, he has received the James Tait Black Memorial Prize for his memoir Experience and has been listed for the Booker Prize twice to date. He him as the Professor of Creative Writing at the centre for New Writing at the University of Manchester until 2011. A list of popular martin amis quotes are given below.